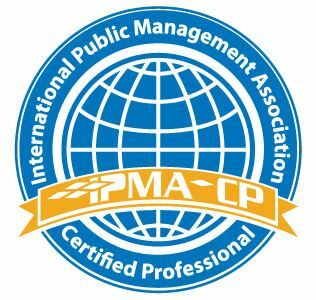 Are you interested in becoming an IPMA Certified Professional, or earning continuing education credits for one of your current certifications? Consider taking the HR Competencies Course during the 2019 conference at the Marriott University of Dayton Hotel. Take a look at what you’ll learn. Gain expertise in the four major roles that human resources plays in any public sector organization: HR Expert, Business Partner, Leader, and Change Agent. Explore the 20 competencies for HR Success. Learn new and effective communications techniques. Discover the changes happening within and around public sector HR. Network and share with peers from all over the country. Gain skills that help you better serve your agency’s leadership. Improve your current organizational dynamics. 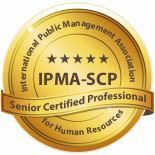 Take a step toward IPMA-HR Certification. Participating in the HR Competencies Course while attending the Central Regional Training Conference provides participants with the best of both worlds. The Program design provides ample time for dedicated sessions with a top-notch instructor. A limited class size facilitates greater depth of discussion around the real-life application of the various concepts and principles. social events with their peers! This course is approximately 28 hours over four days (Saturday, June 1 to Tuesday June 4). Attendees will have the option of taking the IPMA-HR Certification examination within 30 days after the conclusion of the conference or attendees can bring their own computer to take the test on Wednesday after the close of the conference. Please register for both the conference and the HR Competencies course for the total price of $545 (Early Bird Rate). As a conference attendee you will be able to attend the keynote and general sessions, luncheons, and all social events. City of St. Charles, Mo.